Can the Bulls find a way to defeat LeBron James? By Sam Smith | 10.27.2015 | 1:40 p.m. Nothing is going to be decided Tuesday when the Bulls open the 2015-16 NBA season against their rivals, LeBron James and the Cleveland Cavaliers. We'll hear afterward that it's a long season and it's about the playoffs and much will change in the next six or seven months. But when you are the Bulls and James has ended your season four of the last six years in Cleveland, Miami and back in Cleveland, well, at some point you have to start beating him to prove it to him. And yourself. "You want to go out and have success against all teams," agreed Bulls coach Fred Hoiberg after team practice Monday. "(Especially) against the teams you'll hopefully have a chance to fight against when you're trying to get to the NBA Finals. It is (the challenge) both (mental and physical). I was part of those (Indiana Pacers 1990's) teams. I didn't play much, but I had a pretty good front row seat to those series. We almost got over the hump in Game 7 (in '98). I think we were up 18 in that game and then Michael (Jordan) just completely took over down the stretch. I think Rik Smits had a jump ball against Michael and he tipped it to (Steve) Kerr and he hit the three and Jordan just took over. There certainly is a mental hurdle to get over when you're playing against a guy and a team that you haven't been able to beat. Again, you've got to put a game plan together and trust it and execute it." It's not like the Bulls can only concentrate on Cleveland this season. They were defeated by much the same Washington Wizards team in the 2014 playoffs. The Miami Heat is looking more formidable with former Bull Luol Deng and Chris Bosh back from physical issues. 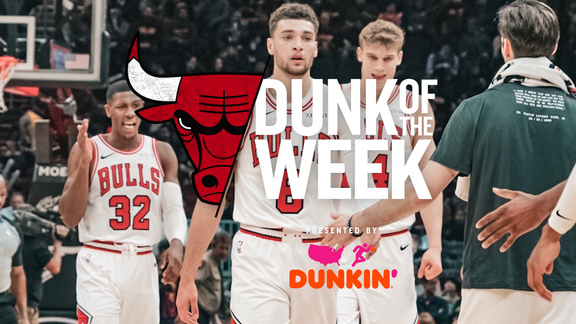 The Atlanta Hawks are coming off a 60-win season and the Bulls had trouble in the first round last spring against a weaker than current Milwaukee Bucks team. But the Cavaliers and LeBron James have been the punishment boulder with the Bulls, although of better heart, like the frustrated King Sisphus. Every time the Bulls though they might accomplish their task, it rolled right back over them. The championship Bulls experienced this with the Detroit Pistons in the late 1980's into the 1990 playoffs. They would be such a headache. Many Bulls from that 1991 championship team pointed to a February game in Auburn Hills in 1991 the Bulls won. They felt it emboldened them to succeed in Detroit. And they would. Similarly, those Pistons had to exorcise their demons regarding the Boston Celtics and some of the most excruciating losses, like the Larry Bird steal of the Isiah Thomas pass in the 1987 conference finals. Some never make it, like those Pacers, the Utah Jazz, the Phoenix Suns. Jerry West eventually would after seven Finals losses, six to Boston. Julius Erving would finally after being denied twice by the Lakers. The pain is generally considered a good learning lesson. As long as you eventually win, anyway. You measure the size of the accomplishment by the obstacles you have to overcome to reach your goals, said Booker T. Washington. James stands as the obstacle for all of the Eastern Conference in having been to the Finals the last five straight seasons, a remarkable accomplishment, and six times in the last nine seasons. You're going to have to beat him and his team. And his team looks impressive with Kevin Love, Kyrie Irving to return in a month or two along with Iman Shumpert, Tristan Thompson resigned, Anderson Varejao back from injury, J.R. Smith back from poor financial advice and Mo Williams added back. 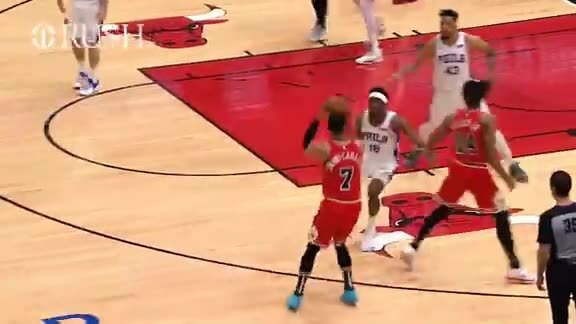 The Bulls, however, are proud of their own depth with an All-Star like Joakim Noah coming off the bench, the introduction of players like Doug McDermott and Bobby Portis, Mike Dunleavy due back in a month or so and now Rose starting Tuesday with All-Star Jimmy Butler. What better way to begin than taking an opening look at the principal obstruction. "Anytime you open up a season in your home arena guys are going to be excited," said Bulls coach Fred Hoiberg, coaching his first NBA game. "It's a great opportunity for our guys, for our staff, to see where we are against the reigning Eastern Conference champs. We're going to go out and play hard. I know that. Go out and compete. Cleveland's going to do the same. Hopefully, it will be a competitive game and we execute what we're trying to do. Obviously, it's important to get off to a good start. We want to do that. But the biggest thing is making sure we're getting better and making strides in everything we're trying to do. We've got a heckuva first test tomorrow night. We're playing a group that brought a lot of guys back and added some new key pieces. I'm looking for our guys to go out play hard, hopefully, play well. "It was a great team they put together in his Miami years with (Dwyane) Wade and Bosh and all those guys," Hoiberg acknowledged about James. "He's such a gifted player that is unlike anybody else in this league because of his skill set and all the different things he can do. So you try to put a plan together to make it as hard as possible, knowing he's going to do some pretty spectacular things. If you stick to it, continue to try to do that, at the end of the game you know you tried to do the right thing. He's a heck of a player and over seven games that's a heck of a tough matchup." But one the Bulls certainly hope they see because you have to beat James and his team sometime. Especially the Bulls.